ONA wants to help you learn more about the nursing profession so you can integrate the nursing perspective in your story. To arrange an interview, contact Molly Homan, Director of Communications and Marketing, at mhoman@ohnurses.org. Please include your contact information, topic, questions and deadline. 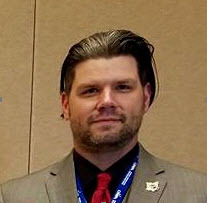 Brian became president of ONA in October 2017 after serving as the association’s 2nd Vice President the previous 2 years and in a variety of other leadership positions both at the national, state and local level. Brian is an APRN at an orthopedics office in Cincinnati and an Adjunct Clinical Instructor for the University of Cincinnati. He worked in the ER of the University of Cincinnati Medical Center for 11 years before becoming an APRN, and also served in the Army National Guard from 2001 to 2007 as a Combat Medic in an Air Defense Battalion, where he received an Army Commendation. Brian is passionate about nurse and patient advocacy. His leadership has been demonstrated as a member of the health policy council, the legislative ambassador program and as a member of the Economic and General Welfare Commission. Brian received the 2012 Rising Star Award at the ONA RN Labor Institute because of his exceptional leadership within his local union at the University of Cincinnati Medical Center, where he lead nurses at the medical center through several successful contract negotiations.